Matthew Heap, born in 1981, is an internationally performed composer whose music has been featured in several American and English cities and on WQED and WCLV radio. He is also very involved in the theater community as an actor, director, and writer. Matthew received his BFA from Carnegie Mellon University, MMus from the Royal College of Music in London, and Ph.D. from the University of Pittsburgh. He has studied with Leonardo Balada, Eric Moe, Nancy Galbraith, Mathew Rosenblum, Amy Williams, and Timothy Salter. Matthew is also a member of Alia Musica Pittsburgh, an ensemble dedicated to the performance of new concert music from Pittsburgh composers. His compositions range dramatically from completely atonal concert music to musical theatre. He believes in using the techniques and materials that best express the idea that he is hoping to represent, whether they be microtones, multiphonics, 12-tone practices, or triadic harmony. He has been a finalist and participant in the Iron Composer Competition and fellow at the June in Buffalo festival, where Allan Kozinn of the New York Times called his music “engagingly noisy…[and] rhythmically sharp-edged.” He has recently written works for the Talea Ensemble (NYC), Duo Scordatura (TX), Contemporary Enclave (Thailand), and TEMPO (LA), and is working on pieces for the Trillium Ensemble and Khasma Piano Duet. His theory interests center around the analysis of mid- and late-twentieth-century works. Recent projects include a full analysis of Luciano Berio’s Sinfonia with a focus on the narrative function of various elements within the work. 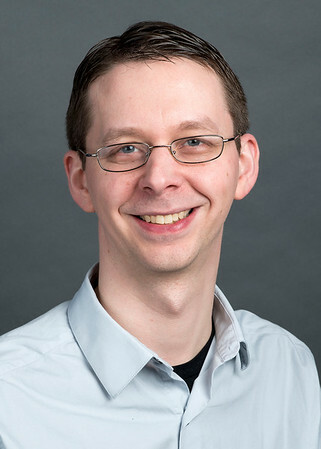 Currently, he is researching how theories of perception can be applied to works of current composers such as Matthias Pintscher.